We visited Bryce Canyon National Park on a warm, sunny day with three young boys. Just a stop on our way to the Grand Canyon, it ended up being our favorite park. We should have planned more time there, and less at the Grand Canyon. We hiked from Sunset Point to Sunrise Point on the Navajo Loop and Queen’s Garden Trail. It took us 1 ½ hours to walk the 2.8 miles, which is pretty good with an almost 5 year old in tow. The Navajo Loop Trail was our favorite part of the walk. Surrounding Bryce Canyon is Dixie National Forest. 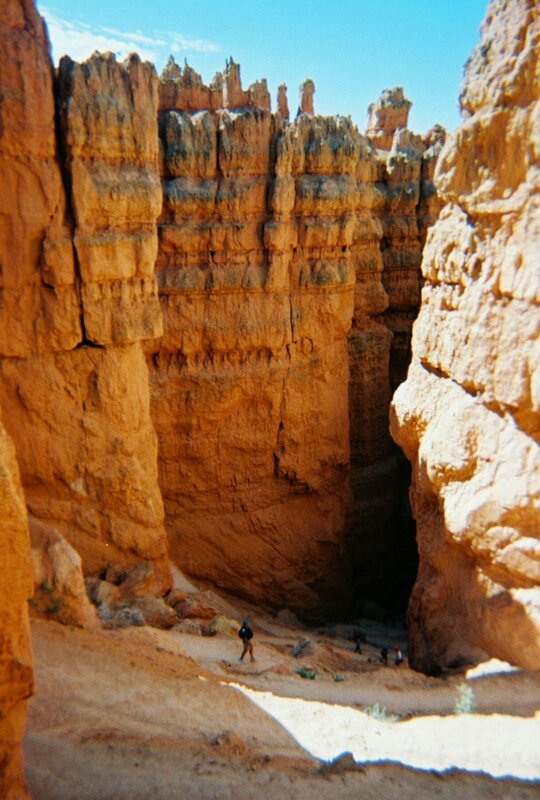 When we go back for another visit, we’ll spend more time in that area and hike some of the trails in Red Canyon, part of the National Forest. This picture was taken by our then 9 year old son, Connor, on a disposable kodak point and shoot.